Keeping my trusty Yamaha will cost an extra £3k a year! London’s ‘tax on bikes’: Keeping my trusty Yamaha will cost an extra £3k a year! My Yamaha Fazer’s days are numbered and this saddens me. *Small disclaimer* this is going to be another London-based, complaining type of article but please stay with it. If you own a pre-2008 registered Motorcycle and use it in London then this will be a handy read. 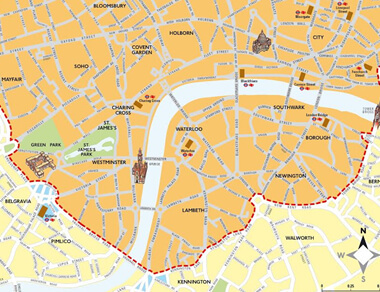 In just over a year’s time, the ULEZ (Ultra Low Emission Zone) will come into affect in London. This means that any motorcycle registered before 1st July 2007, will be taxed £12.50 each day to ride in the Centre of London and this new tariff applies 365 days a year! Unlike the generic congestion charge that only applies during the working week and hours. Motorcycles contribute less than 1% of the nitrogen oxide emissions in London but for reasons that nobody seems to have reasonably explained, this is being ignored. The London Mayor, Sadiq Khan has decided that ALL motorcycles that aren’t Euro 3 compliant are killing children and wiping out eco-systems (Not direct quotes from Khan but you get the idea). And so now, all bikes will need to meet Euro 3 regulations in order to avoid this daily, get-rich quick scheme. The new rules, which will commence from the 8th of April 2019, will – without a doubt – have a huge impact on commuters and couriers. Those unlucky enough to have a doomed Euro 3 bike (and yes, this includes my beloved Fazer) are now faced with the outcome of a decision that is completely out of their control. The Mayor will be forcing those riders who want to keep riding to fork out for a newer, bike despite the decent economy figures most bikes achieve – my ‘99 Fazer will easily reach 50mpg without even trying and is probably more economical than any Eco Hybrid four-wheeled vehicle. If I were to keep my Fazer after this Ponzi-esque scheme begins in April 2019 then it would cost me an additional three grand a year. Three grand a year above and beyond the cost of my bike ownership… Just to ride into London. At this point the train becomes a more attractive option – at least financially anyway. Which it would seem to be something that the Mayor wants. But at a time when the trains are already buckling under the strain of millions of passengers that it struggles to handle. Why? All of this puts me in a difficult position, because I really don’t want to sell my Fazer. It has been an unbelievable workhorse and has never let me down. I’ve owned it for three years and bought it exactly for the task of commuting into the city. Twenty Thousand miles later, it still runs like a dream and still has the same chain and sprockets fitted to it, that it did on the day I picked it up. Maintenance has been incredibly easy and the Fazer has only required a set of new tyres and brake pads in the three years of ownership. I completely understand that exhaust emissions are bad for everyone, but it really does feel as if Khan is fighting the wrong battle here. He needs to visit any Mainline London Station and see all the vehicles waiting outside. 99% of the vehicles outside of public transport stations are buses or Black London cabs all with their engines idling; this is where the emissions issue lies; not with a small capacity motorcycle zipping through traffic rather than being the actual traffic. These dirty diesels throw out enough black soot and muck to embarrass an Eighteenth century coal-powered locomotive. There are bigger fish to fry but sadly Khan is focusing on the Plankton. Sadly, I feel that this is only the beginning too. Because once this has taken effect it will most likely expand to further regions of the capital. And then, after this, who knows? Other cities may well follow suit and copy London’s dim-witted view.